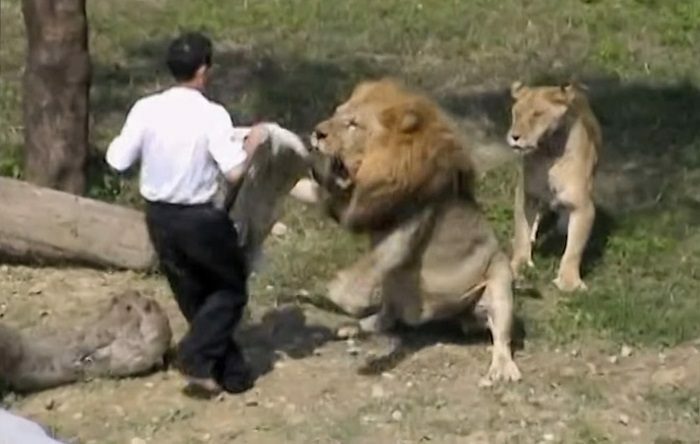 Insane Man Goes Inside The Lion’s Den To Fight The Lions! Who is brave enough to enter the lion’s den and get in a fight with a lion nowadays? 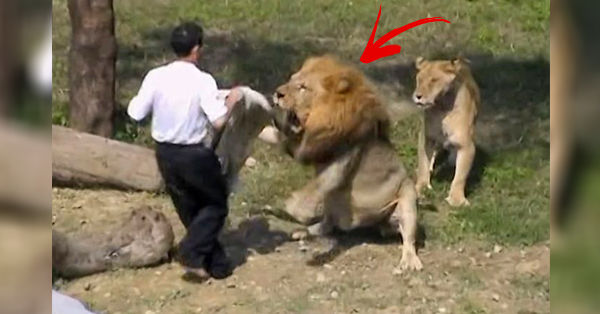 Jiang Ho Chen is a modern- day Samson wannabe who was brave – or insane – enough to pick a fight with a lion. The 46- year- old jumped into the lion’s den inside the Taipei Taiwan Zoo. When he was inside, he removed his jacket and waved it at the wild felines to provoke them. He promptly got what he wanted. Jiang was relaxed all throughout the ordeal. The furious lion then started attacking him and bit his right arm. In spite of the pain, brave Jiang remained laid-back. It seems he had no plans of escaping, and we have no idea what was running in his head the whole time. The provoked lion then attacked his right leg. He was corned on the big rock. 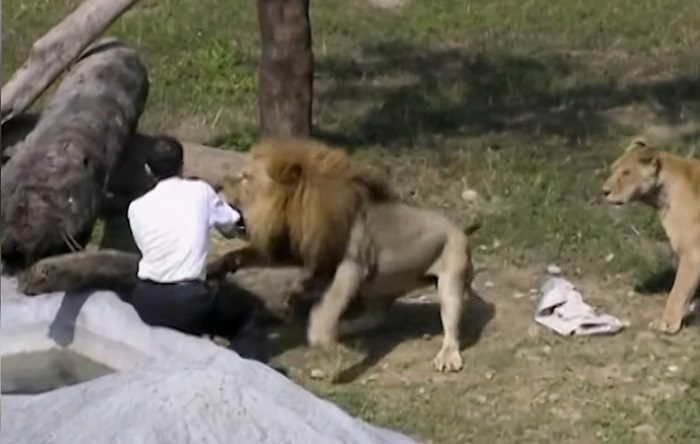 The officials inside the zoo had to sedate the beasts and use a high- pressure water hose to drive away the lions just to save the stupid man’s life before it’s too late. The world will never run out of people who have the bright idea to provoke a lion. Have you ever been attacked by an animal? Share with us your story in the comment section below!